Welcome to AL PAINTERS LTD We're North West London professional painting and decorating company, that provide all types of painting and decorating as well as wallpapering service. We knows that your home is a valuable commodity, so choosing AL PAINTERS to complete your home improvement project, however unique, will be one of the most discerning decisions you can make. AL PAINTERS cover all aspects of painting & decorating, including domestic and commercial projects. We knows that understanding the particular needs and expectations of every client is essential and that’s why every project is completed both on time and, importantly, within budget. Our painters are skilled professionals who see your project through, from the first preparation works to the last coat of paint. Satisfaction is an asset and it will be one of the best choices you have ever made. Contact AL PAINTERS for a high quality service. IT'S YOUR HOUSE TIME TO SHINE ! Paintforme – your trusted London painters and decorators service. At Paintforme, our service is designed around you. We deliver projects, from beginning to end, in partnership with you. Paintforme brings years of experience, knowledge and expertise. We specialise in complete interior redecoration projects and have successfully served the needs of London clients for well-over a decade. It’s as easy as 1-2-3 to get you started 1. Free consultation 2. Free estimate 3. Free colour scheme service Call now to make what you’ve been looking for, a reality. 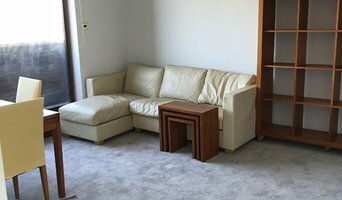 London Flat Renovations offers the complete package to refurbish your property from just a quick paint and floor recovering to kitchen and bathroom renovations. After we complete the renovation, we can help dress your flat for valuations and viewings as well as furnish your flat for future renters. Please contact us for more information. We are an Interior and exterior remodelling company established in London. PerfectWorks Painting & Renovation team works with residential and business customers and may offer a complete plan for any home or office improvement. Every project we make is fully tailored to your requirements and in compliance with your budget. It doesn't matter if you need just to refresh the paint on the walls or want full makeover - you can rely on our specialists. We are specialised in Italian Interior Decoration such a Polished Plaster, Concrete Plaster, Metallic Paint, and also a comprehensive interior and exterior painting and decorating service High quality interior decorating with a team of professional decorators available to delivery work on time and on budget. Painter and decorator with great experience. We have got something for everybody. Whether you require high quality decoration with attention to detail or just quick change of colours. 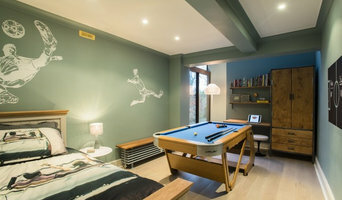 We undertake from big house designers projects to a single room. Clean, friendly and efficient painting. Always on time and within the budget. Trim Decorating was established in 2012 by Graeme Semple, and has been owned and run by David Ramsay since 2018. David brings over 15 years of experience of decorating to the business. Trim combines craftsmanship and the best available materials with rigorous project management, organisation and client communication. Every one of our projects is different, but our goal — a smiling, happy client — never changes, and we consistently employ the same approach. We are an experienced and professional decorating company based in Chelsea. We work for private clients, estate agents, interior designers, developers and block management companies. Our large scale management facilitates all manors of internal and external decorating including scaffolding, site management, window and masonry repairs, weather protection & communal area works. Our residential teams are experienced in all facets of decorating, wall hanging, including cloth and silk and specialist effects. Please see our portfolio page to see our work. Pro Finish Decorating Ltd is High End Painting & Decorating Company based in North west London . Family run business with 16 years of experience in painting, decorating and wallpapers hanging. Member of Painting and Decorating Association. Internal specialists with personal approach and eye to details. What jobs do Ealing, Greater London painters and decorators do? As well as plain painting jobs, many Ealing, Greater London painters and decorators will take on other jobs as well. If you’re dealing with an old or run-down property and you need the walls completely stripped down before painting, this could be tackled by an Ealing, Greater London painter decorator. Some professionals will also carry out repairs on paint work and walls, from small cracks and holes to sometimes larger repairs like fixing window panes, doorframes and sills. Some painters and decorators may specialise in certain kinds of painting, such as window exteriors, doors, gates and fences. And finally, you may find some contractors are very good at the finishing touches, not only neatly finishing paint work but also installing beautiful wallpaper, wall stickers, painting intricate or fiddly features or even painting patterns and murals on your walls. 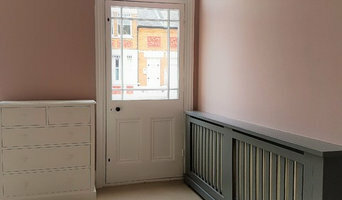 Why should I hire a painter and decorator in Ealing, Greater London rather than doing it myself? Even if you are planning on going very simple with your walls, perhaps a crisp white or grey, then using Ealing, Greater London painters and decorators to finish the job to a high standard is still advisable. Not only will it mean your painted walls will be clean and precise, but it will also save you the time and effort of painting and decorating yourself. House painters in Ealing, Greater London will be quick and efficient at painting your rooms, and if you have a tricky outside wall or space that needs painting, specialist exterior painters are the professionals for the job. 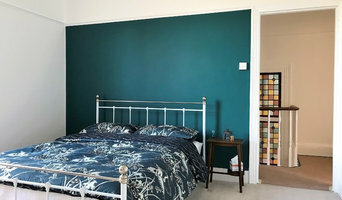 Search for Ealing, Greater London painters and decorators on Houzz to see past painting and decorating projects and reviews from clients to see if there’s a professional that can help you with your project. Even if a local painter decorator doesn’t specialise in your kind of project, ask them first, and they may know other professionals that can help, such as wallpaper specialists, paint companies or wall sticker or mural installers. Find a painter decorator on Houzz. 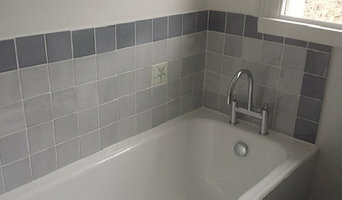 Narrow your search in the Professionals section of the website to Ealing, Greater London painter or decorator. You can also look through Ealing, Greater London photos to find examples of painting and decorating jobs that you like, then contact the professional who worked on them.